If you’re looking to leave the city behind then why not leave your wires behind as well? That’s the philosophy behind Outdoor Technology’s upcoming OT Rocks wireless earbuds. 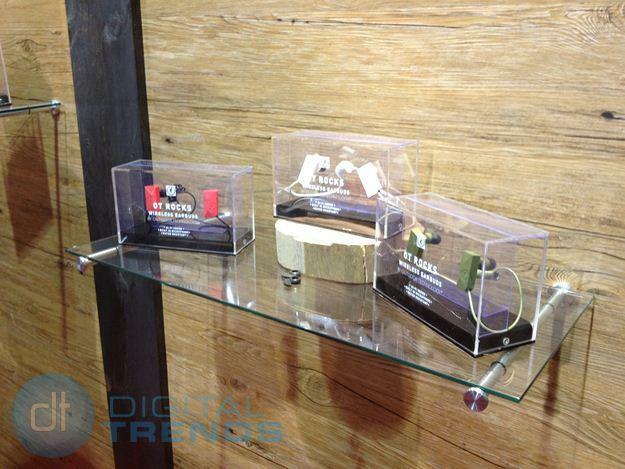 Our preview began with OT’s Rocks wireless earbuds and right away we were impressed. These nifty suckers come in a variety of colors and rock a sleek and stylish design. Mikie Krisztal, Head of Design at Outdoor Technology says that the core design elements for the Rocks were waterproof, rugged, low-profile, go anywhere, and great sound – and it shows. The Rocks feature a simple form factor, but appear sophisticated all the same. Off the bat they certainly don’t look like traditional outdoor or rugged buds, something we appreciated a great deal. We’re not sure about you, but we think it has become somewhat cliché for companies to slap that “outdoorsy” look, often times with a lot of rubber ridges and grey and orange color schemes – particularly to devices or products that are intended primarily for outdoor use. Despite that, the Rocks still find a way to accommodate users who lead an active lifestyle by being water resistant and sweat proof. But like when searching for a potential new companion, it’s not just what’s on the outside that counts, but what can be had when delving deeper. Thankfully, the Rocks offer some innovative new tech not found in similar earbuds. Innovations like such as the touchscreen interface and water resistant housing. The touchscreen tech particularly caught our eye and proved simple and intuitive to change volume and skip tracks. Double swipe up or down on the face of the buds to change tracks and single swipe up or down to increase or decrease volume. There is also a top triangular button that act as the main function button for pausing and playing your music, you can also answer and take calls with the Rocks, further increasing its utility. Of course none of this really matters if the Rocks don’t sound good, but that isn’t the case. Our little demonstration allowed us to listen to an iPod that was connected via Bluetooth and the audio quality was sonically pleasing, which OT claims is thanks to its signature Hi-Fi sound technology. But when can I buy them? Well OT claims they are a little ways off, maybe a year. They want to refine the technology, but the good news is these ergonomic and stylish in-ear buds, according to OT, should only set you back a $99.